This book applies a set of corpus investigation techniques to the study of evaluation, or stance, or affect, in naturally-occurring discourse. Evaluative language indicates opinions, attitudes, and judgments. It is an important part of activities such as persuading someone that a particular viewpoint is correct, or in constructing knowledge from a different number of theories. 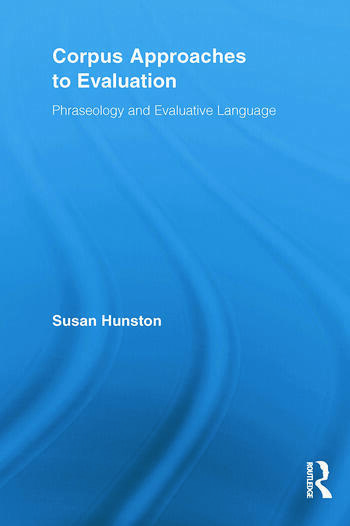 This book argues that phraseology--regularities or patterns in language identifiable from corpus studies--is important to the study of evaluative language. It makes a number of more specific arguments: that modal meaning is expressed through particular phrases and not only through modal verbs; that figurative phrases are used to intensify evaluation; and that patterns of use may be exploited to achieve an automatic identification of evaluations. It also builds on the author’s previous work in exploring how films and journalism use language and images to build knowledge from ideas. Susan Hunston is Professor of English Language at the University of Birmingham. She is the author of Corpora in Applied Linguistics (2002), co-author with Gill Francis of Pattern Grammar: a corpus-driven approach to the lexical grammar of English (1999), and co-editor with Geoff Thompson, of Evaluation in Text: authorial stance and the construction of discourse (2000) and System and Corpus: exploring connections (2006).